From MAC To Masaba: Nykaa Now Has Designer Labels On Their Site! Nykaa, our go-to make up giant has recently launched Nykaa Design Studio for clothing and accessories. So now, when you go online to order their beauty products, you can pick out clothes for yourself, too. 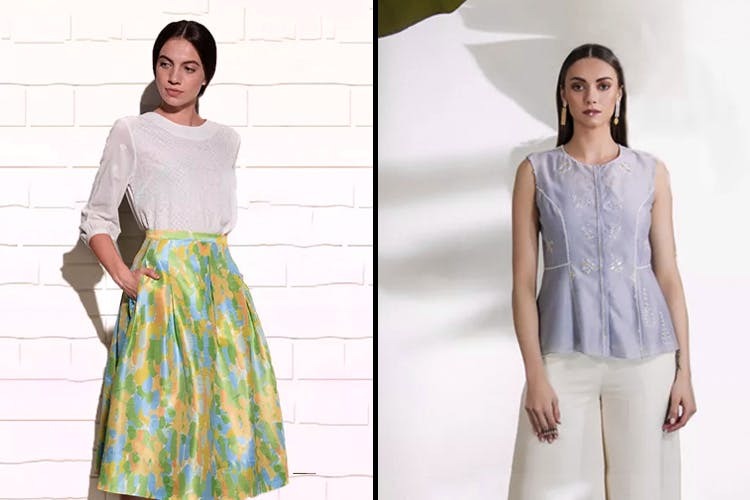 They're currently home to a bunch of designers that include Masaba, Ritu Kumar, Payal Pratap and more. They've also got brands like The Summer House, Tribe By Amrapali, Doodlage, amongst others. You can pick from their collection of ethnicwear, skirts, trousers, shirts and more. They've got sections for jewellery and accessories too. We're hoping to see some of those famous Nykaa discounts on their clothes as well. Happy shopping!